Crafted of Baltic birch and maple solids, this trundle bed is designed with a touch of whimsy and a dose of practicality. 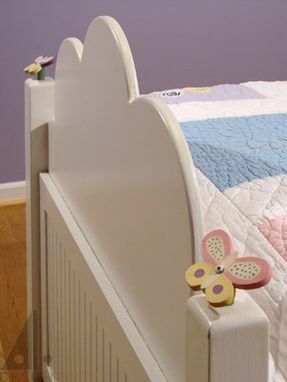 The hand painted butterfly and dragonfly finials are interchangeable while the trundle section can be oriented to extend from either direction. 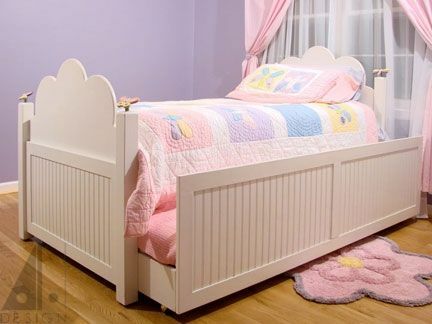 The bed is finished in a white enamel for durability.